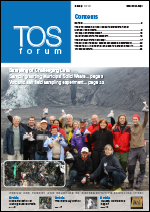 TOS forum is a free publication for the sampling community, providing a communications platform for all interested in the theory and practice of representative sampling and blending. TOS forum aims both to serve the Theory of Sampling community and to disseminate awareness of proper sampling practices to other interested parties in science, technology and industry. If you are interested in contributing to TOS Forum, please e-mail Kim Esbensen at [email protected]. You may also be interested in the Sampling Column articles edited by Kim Esbensen and Claas Wagner published in Spectroscopy Europe. TOS forum is edited by Professor Kim H. Esbensen. Kim is research professor (Geoscience Data Analysis and Sampling) at GEUS (National Geological Surveys of Denmark and Greenland), external chemometrics professor with the ACABS research group, Aalborg University, Denmark and external professor (Process Analytical Technologies) at Telemark Institute of Technology, Norway. He was professor extraordinaire at Stellenbosch University (Institute of Wine Biotechnology) in the period 2005–2010 and presently Professeur associé, Université du Québec à Chicoutimi (2013–2016). He holds an honorary Doctorate at Lappeenranta University of Technology (LUT) in 2005. In 2009 he was inducted into the Danish Academy of Technical Sciences (ATV). 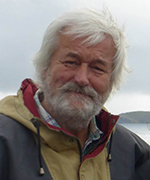 Since 2001 he has devoted most of his scientific and R&D to the theme of representative sampling of heterogeneous systems and PAT, respectively.